New favorite alert!! 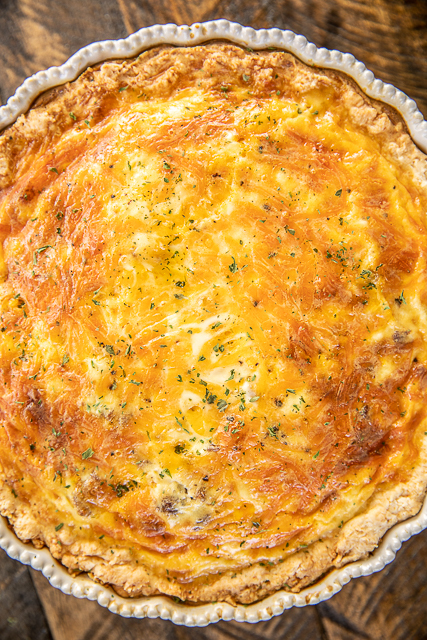 This Sausage Biscuit Quiche is our new favorite quiche. I've made it numerous times and we just can't get enough of it!! 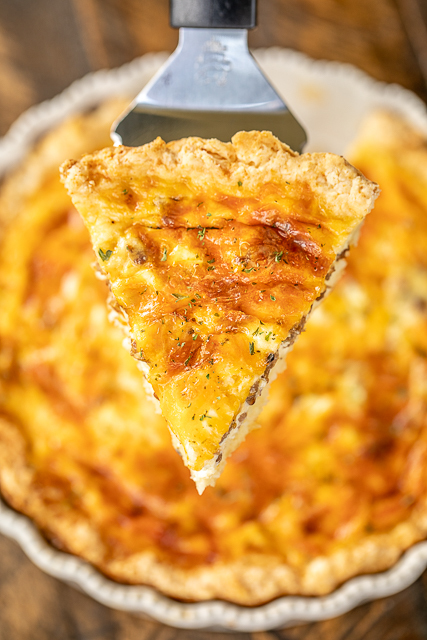 The crust of this quiche is not your typical pie crust. The crust is a quick homemade biscuit. This Sausage Biscuit Quiche like a giant open faced sausage egg and cheese biscuit. SO good! I have a confession. This was my first real attempt at making homemade biscuits. I've always been so intimidated with making biscuits. Guess what? It was surprising easy. I can't believe I put off making homemade biscuits for so long!! You will need to use self-rising flour for the biscuit dough. I used White Lily Self-Rising Flour. All the best southern biscuits are made with White Lily. If you can't find White Lily, any self-rising flour will work. You can also make your own self-rising flour with 1 cup all-purpose flour, 1/2 tsp salt and 1-1/2 tsp baking powder. 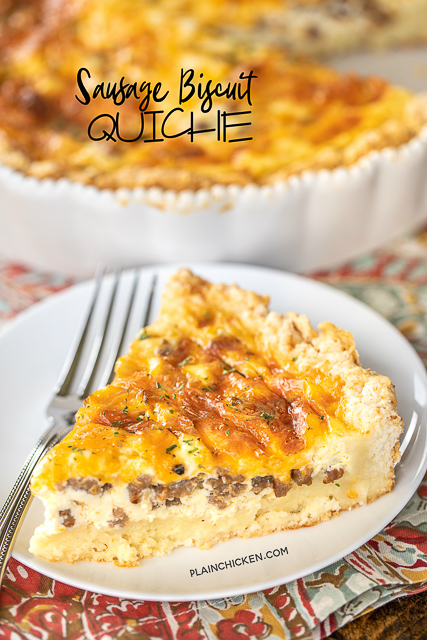 There is a two part baking process for this Sausage Biscuit Quiche. 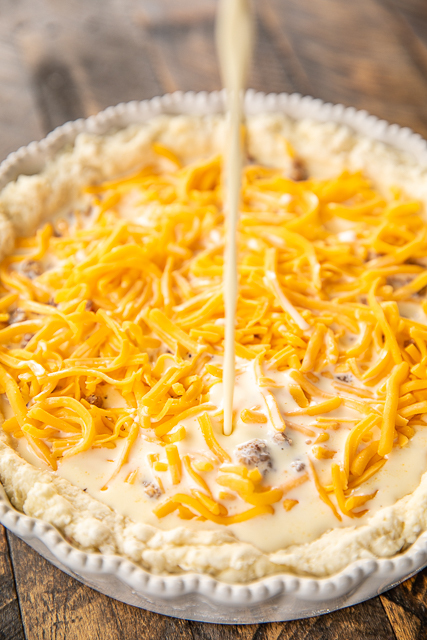 The biscuit crust needs to bake for a few minutes before adding the quiche mixture. I make the crust and then whip up the quiche mixture while the crust is baking. Easy peasy! 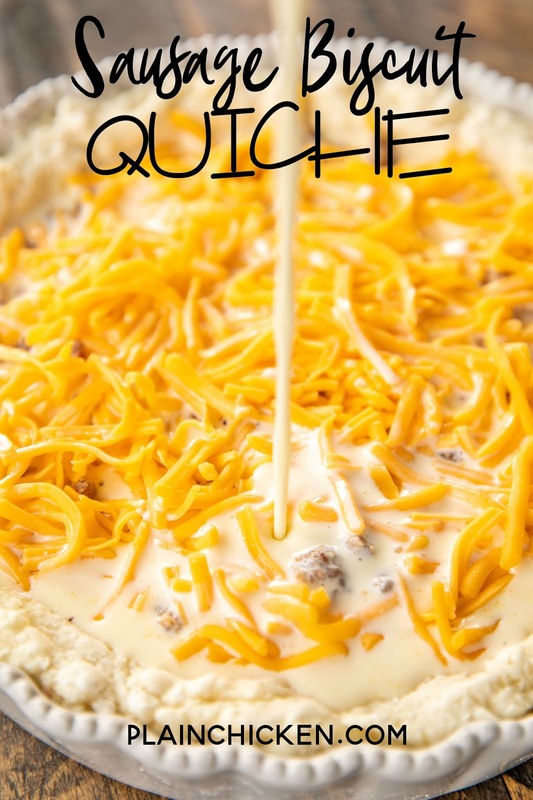 Just a note - I used a 10-inch quiche pan for this recipe. It is basically a 10-inch cake pan. If you don't have a quiche pan, you can try making this in a springform pan. Cut butter into flour with a pastry cutter or two knives. Stir in buttermilk just until a dough form. Press sausage & cheese in bottom of crust. Sprinkle with salt & pepper. Whisk together eggs, half-and-half and sour cream. Pour over sausage & cheese. Bake for 50 to 60 minutes, until center is set. Sounds like a great breakfast, lunch, or dinner. Just whip up some gravy to go along with it! I'M SO HUNGRY!!!!! I'll make this over the weekend and it can be my breakfast all week!!! Can you also use Bisquick. I haven’t made this with Bisquick, so I can not say for sure how it would turn out. I made this for breakfast this morning and it was so good! I may make all my quiches with a biscuit crust from now on - so much less fussy than a pie dough crust!